2004 Toyota Camry LE 2.4L. All power. CD and cassette. Come see us at Oasis Auto Sales at 9855 Highway 44 East in Mt Washington, Kentucky. Qualifies for an extended warranty. 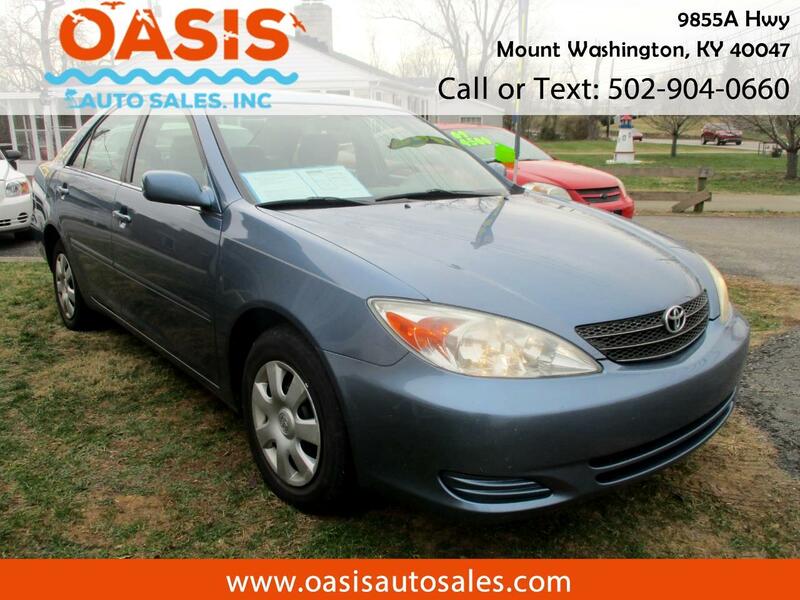 Visit Oasis Auto Sales Inc online at oasisautosales.com to see more pictures of this vehicle or call us at 502-904-0660 today to schedule your test drive. Message: Thought you might be interested in this 2004 Toyota Camry.